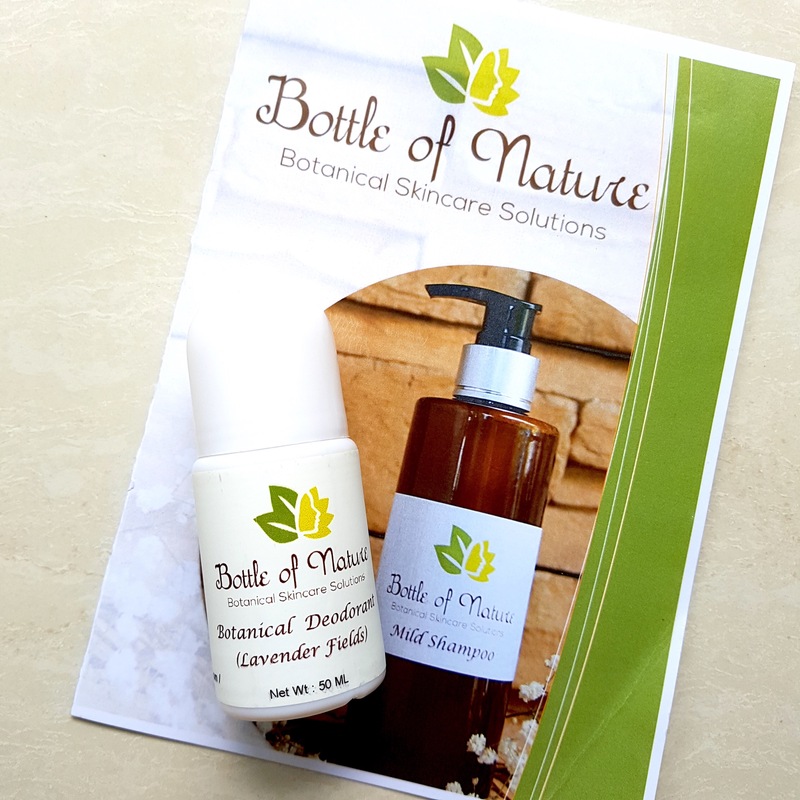 I recently stumbled upon a home-grown Singapore brand called Bottle of Nature. 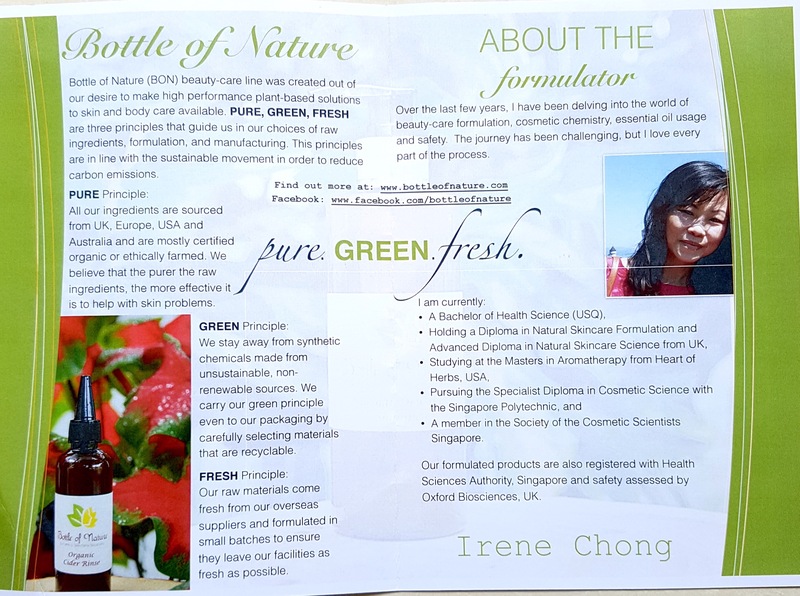 My mum had a company event a couple months back and Irene Chong, Owner and Product Formulator behind BON, had introduced the ladies to natural hair care products. As a background, I have eczema which results in dry, scaly, itchy patches of skin. Add stress to that and my scalp is can be quite the nightmare. A summarized list of what BON has to offer. Incredibly affordable as products can last you a good 2-3 months if used correctly. Some facts about BON and Irene! That’s her and look at how much time and effort she has spent on diving deep into her passion. No wonder she Irene is so knowledgable! Hehe plus she’s very sweet too. Always ready to share and help customers find the right fit with her products. – Mild for children or those with dry hair, normal. 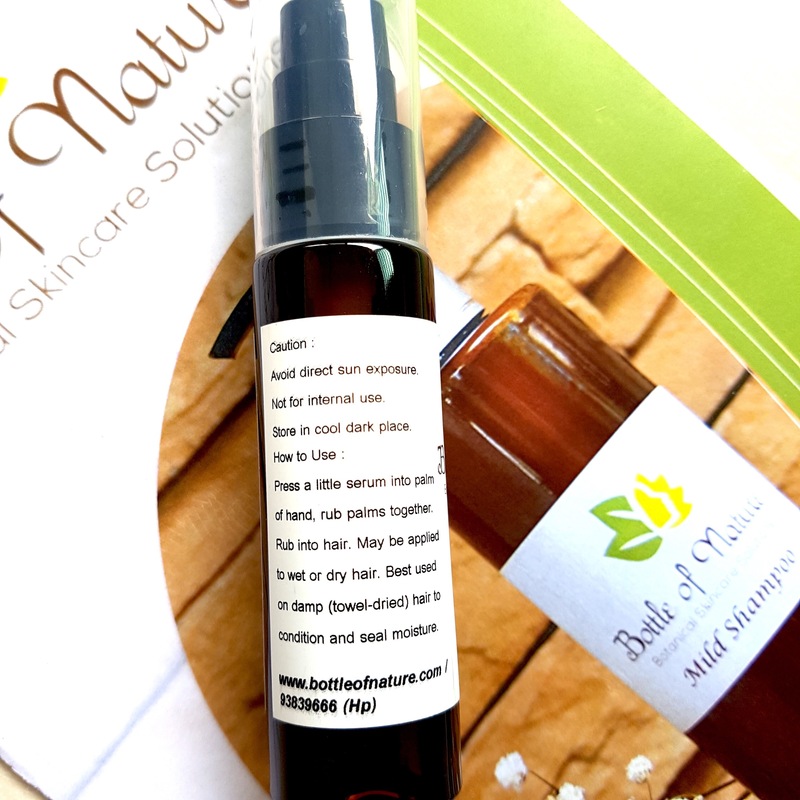 Also added is the Lavender Spike Oil which is a natural antiseptic to soothe and heal scalp. 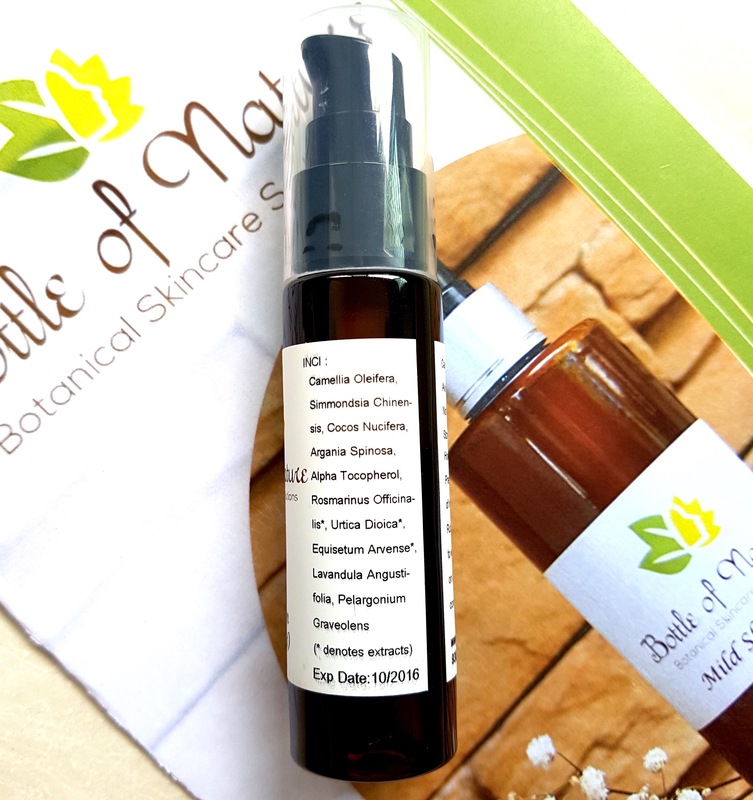 Blood Orange essential oil for the unique citrusy natural fragrance that is great for oily skin. 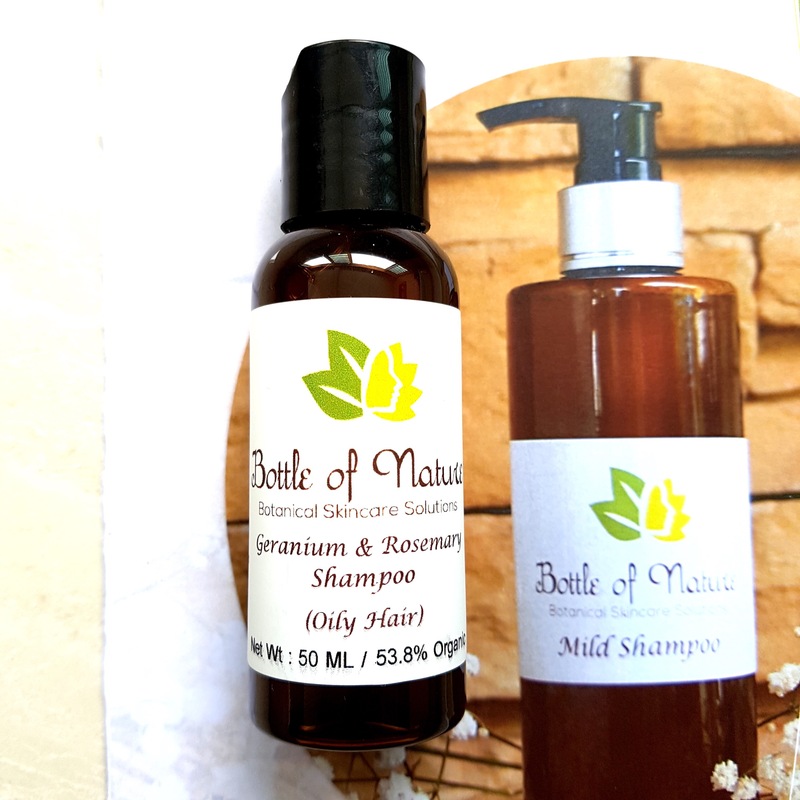 There are days where I wake up with the greasiest of hairs (not really sure why my hair condition is so extreme- extreme dry or extreme oily) and when I need a good thorough cleanse, I reach out for the oily hair shampoo. Squeaky clean with a refreshing feeling. Hair is stripped of excess sebum leaving it hydrated and shiny. 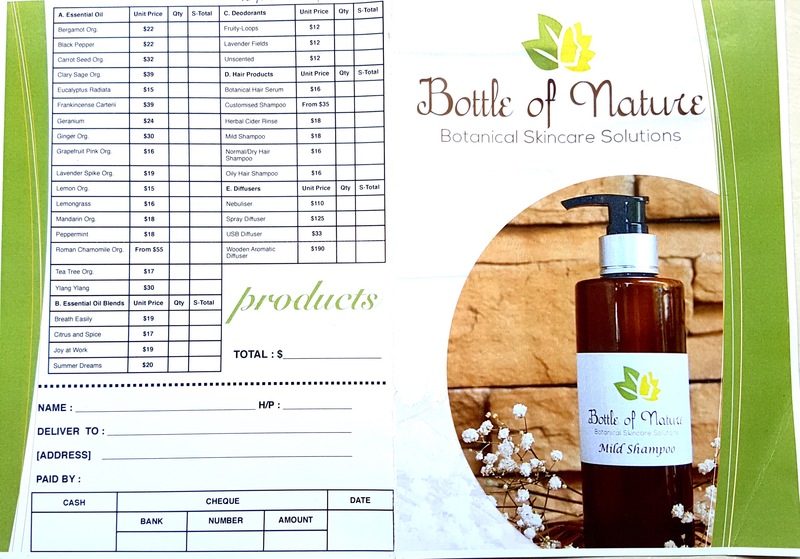 Prices range from SGD 16 to 29 depending on which shampoo you pick and the size (100, 150, 250ml) of the bottle. Once or twice a week, I would do the cider rinse too. 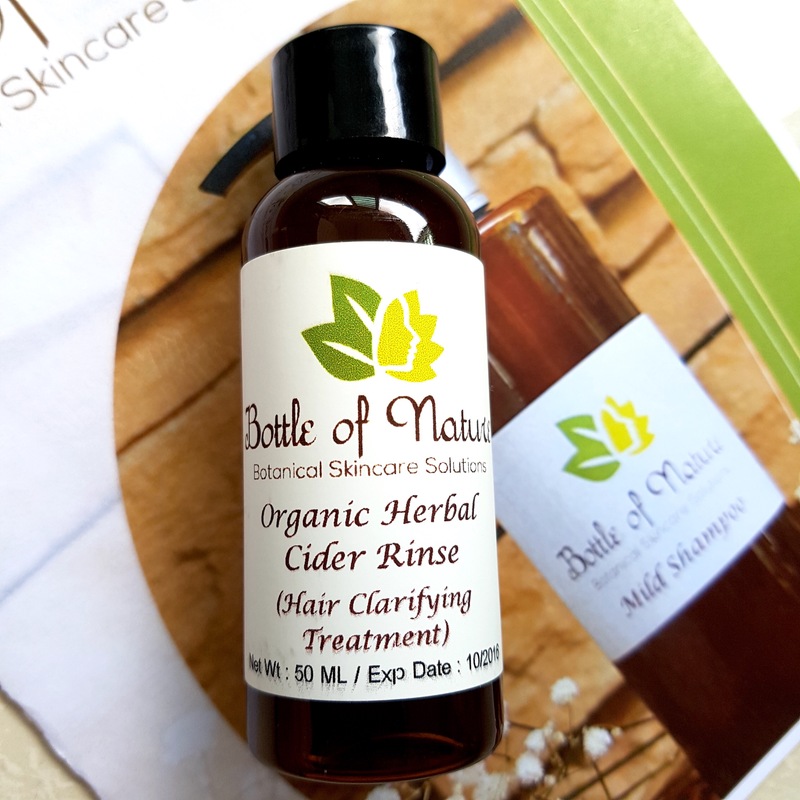 Whether you have dry, normal or oily scalp, the herbal cider rinse is a must- have! It clarifies your hair by eliminating residue build up on the scalp and hair shafts while restoring PH levels on the scalp. 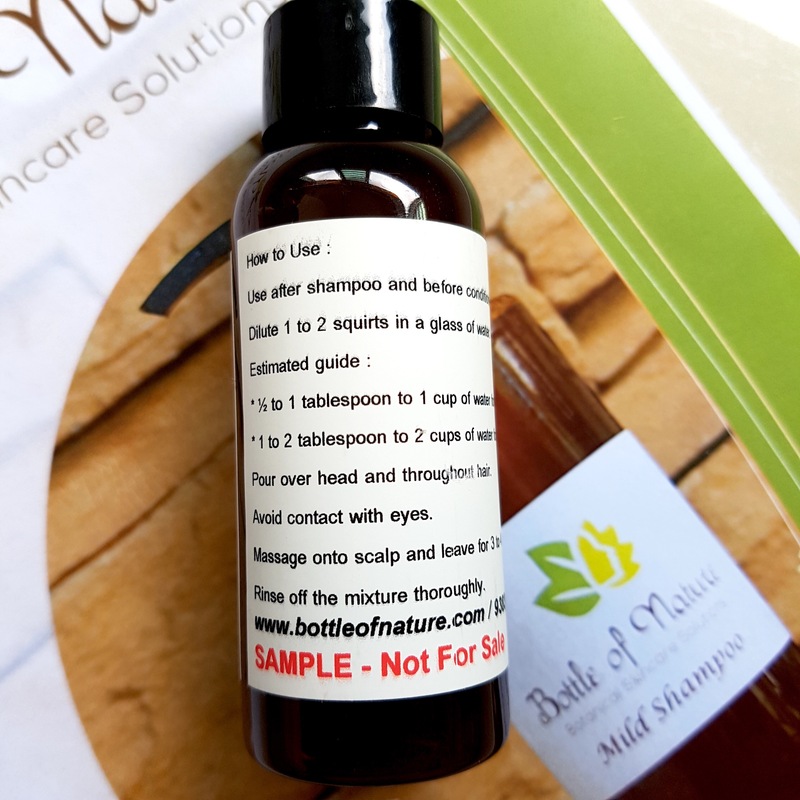 Apple Cider Vinegar that removes sebum andprotects build-up on scalp and hair shafts. 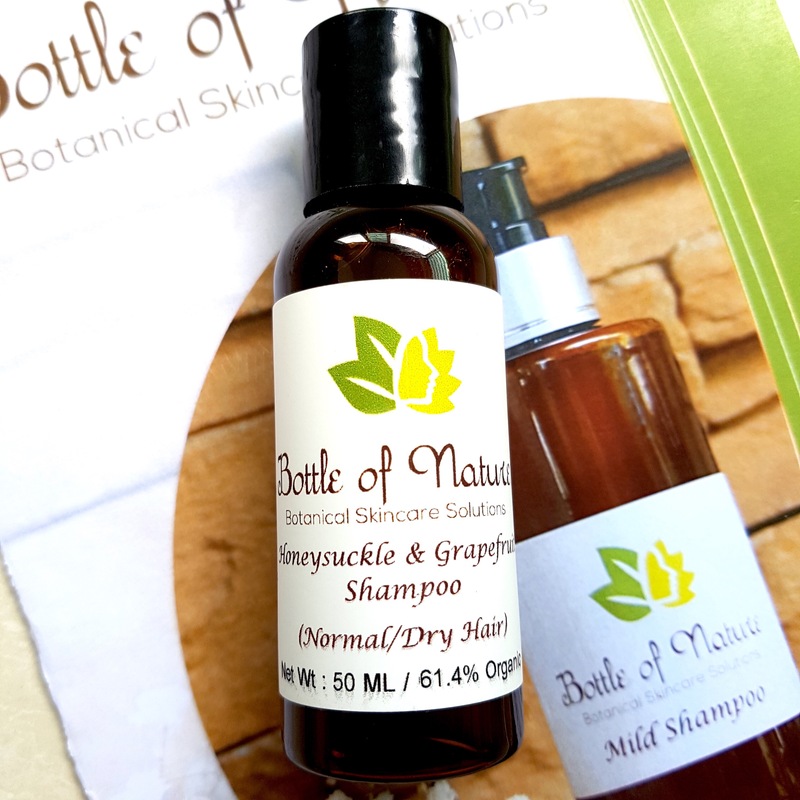 Nettle leaves which have a chock full of minerals to nourish hair. Horsetail that is filled with silica to strengthen and rebuild hair shafts. Marshmallow roots that soothes scalp by providing relief from scalp irritation. High in protein to nourish hair and contains mucilage which makes it easily to detangle, condition and moisturize hair. Rosemary leaves are great for stimulating and revitalizing both hair and scalp. It also believed that Rosemary oil slows down premature hair loss and graying of hair. Peppermint leaves have astringent properties and stimulates nerve ending to increase blood flow to the scalp. This soothes and tones the scalp. Yarrow flowers are effective for treating dandruff, itchiness, scalp irritation and oily scalp. Proven to counteract hair loss. Allantoin causes skin to soften so that dry and damaged skin gets exfoliated easily. Soothes, prospects and hydrates scalp. Essential oil blend of Ylang Ylang, Geranium and Lavender that gives a wonderful fragrance to this cider rinse. The first time I took a whiff was surprising. I thought the word herbal meant pungent Chinese herb smell which may not suit everyone’s taste. But to my delight, it smells exactly like what apple cider would be like. Basically, Vinegar. Remember that this rinse is concentrated and for you to use it, diluting it with water is required. 100 ml of the herbal cider rinse retails for SGD 18. 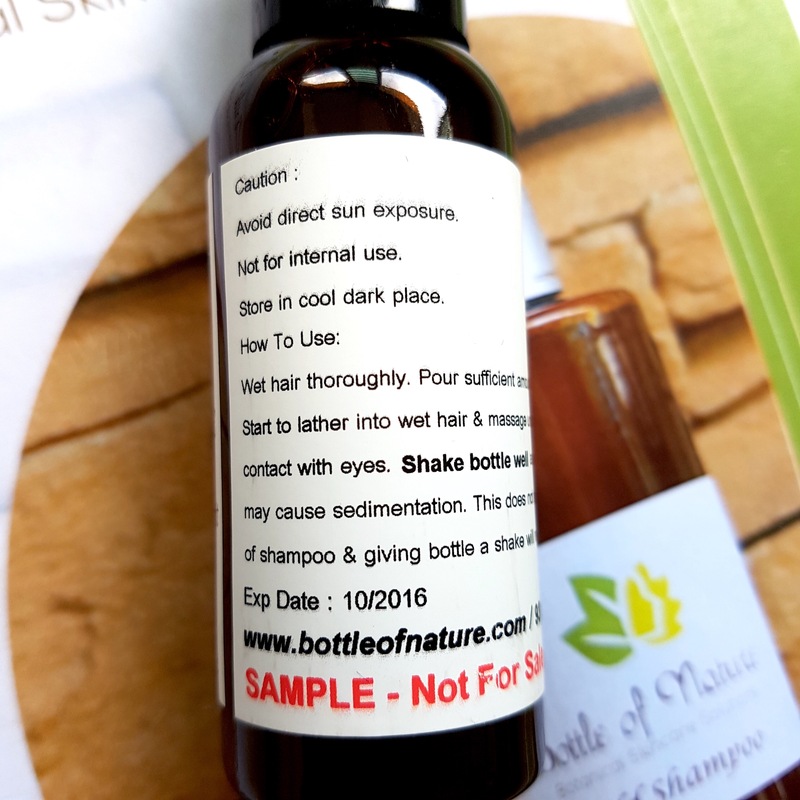 I end my with shower with the Organic Argan & Camellia Herbal Hair Serum. Great for dry and frizzy hair especially for split ends. Normal hair would love his too. Hehe healthy bouncy hair! 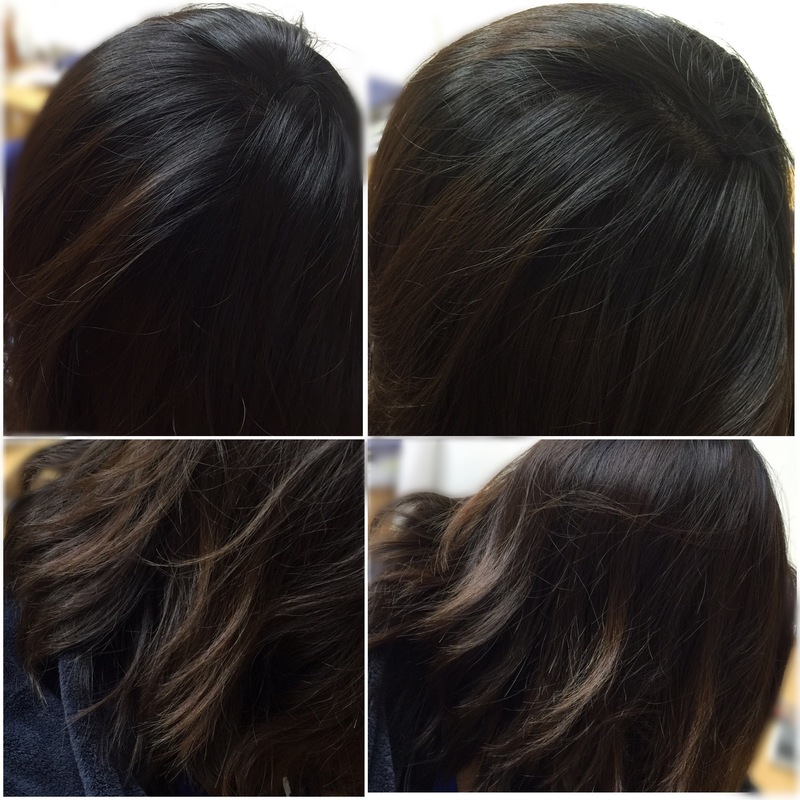 Damaged, treated and colored hair…. This is a saviour! Camellia Oil rich in fatty acids and natural anti oxidants. This has been traditionally used in Japan as a hair smoothing and conditioning agent which is responsible for keeping the luminous texture of a Giesha’s hair. 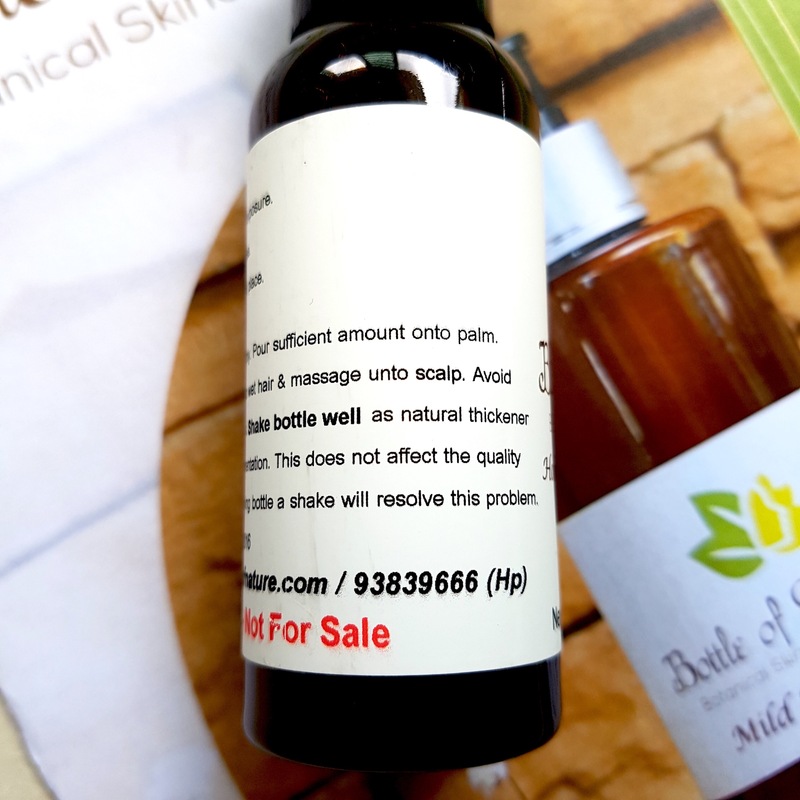 Argan Oil that is high in Vitamin E and essential fatty acids made exquisitely in Morocco. 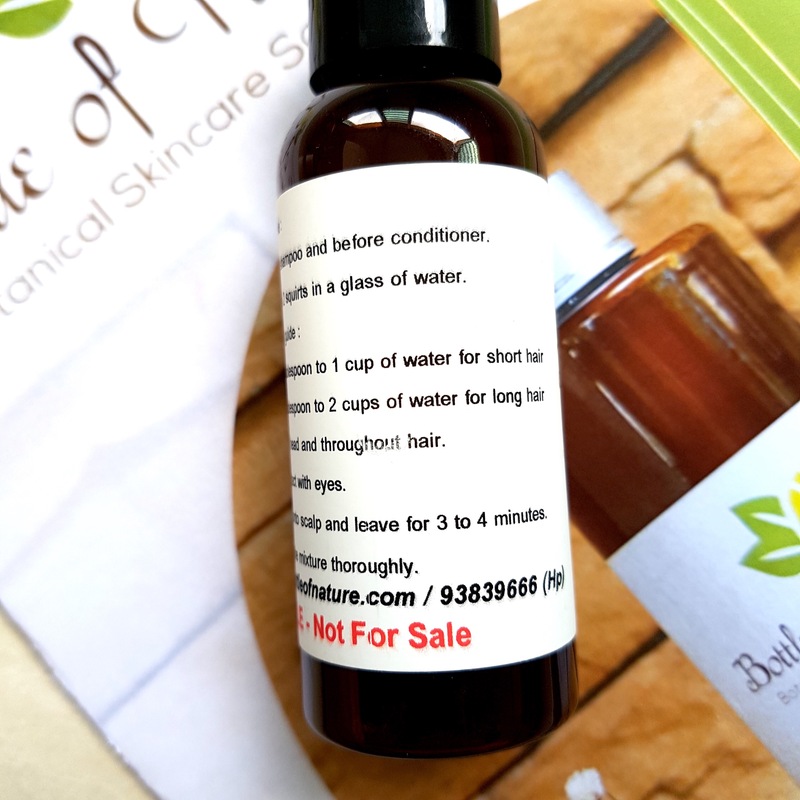 Jojoba Oil is a unique vegetable oil that closely resembled the sebum we naturally produce. 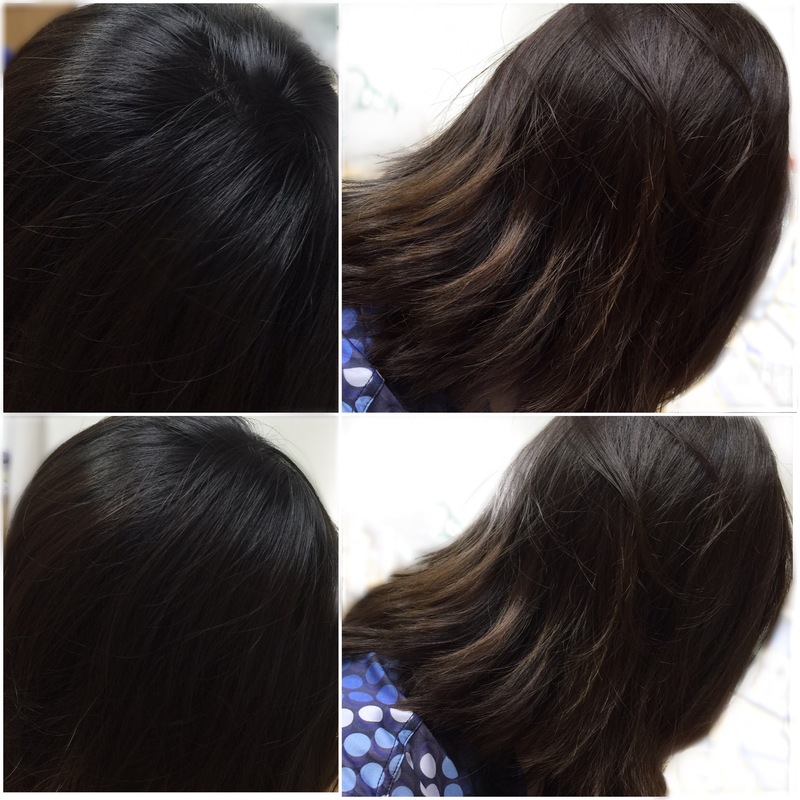 Therefore, it’s a natural conditioner that firms a thin natural coating on hair shaft to product it form dryness. Fractionated Coconut oil which deeply moisturizes hair and makes hair silky without weighing it down. Marshmallow root, Nettle Leaf, Horsetail, Vitamine E and a blend of Ylang Ylang and Blood Orange. 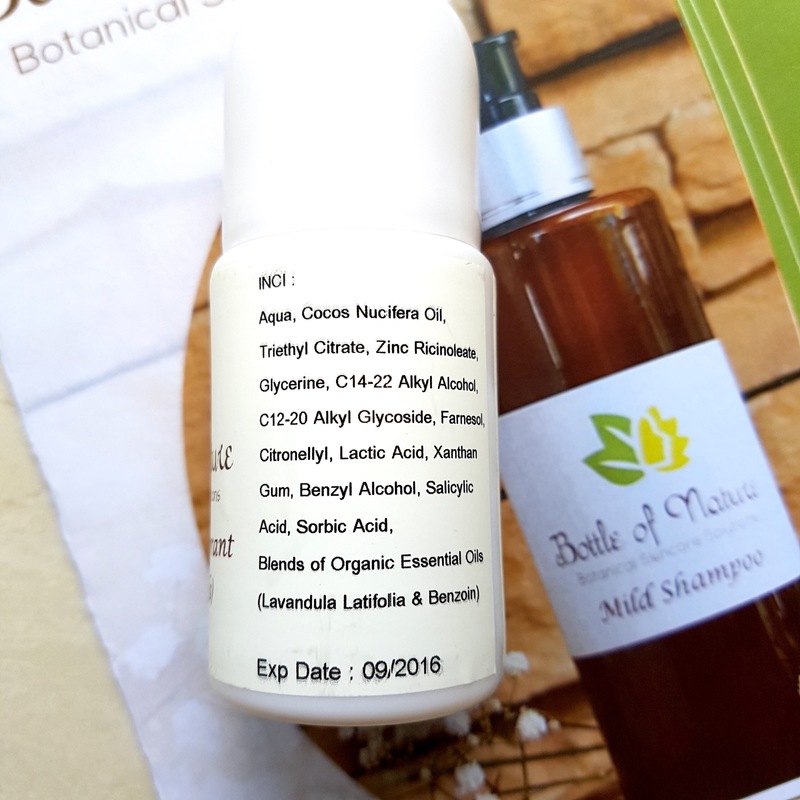 Hair Serum retrials for SGD 16. When you live in a humid country such as Singapore, you do what you can to smell good all day long. The sweat build up can sometimes cause body odour. BON’s Lavender Fields Deodorant is a great way to smell Great ! It moisturizes the skin and Keeps underarms fresh. Does not stain clothes or leave a white residue. Whatever I tried so far has made me a BON-convert. 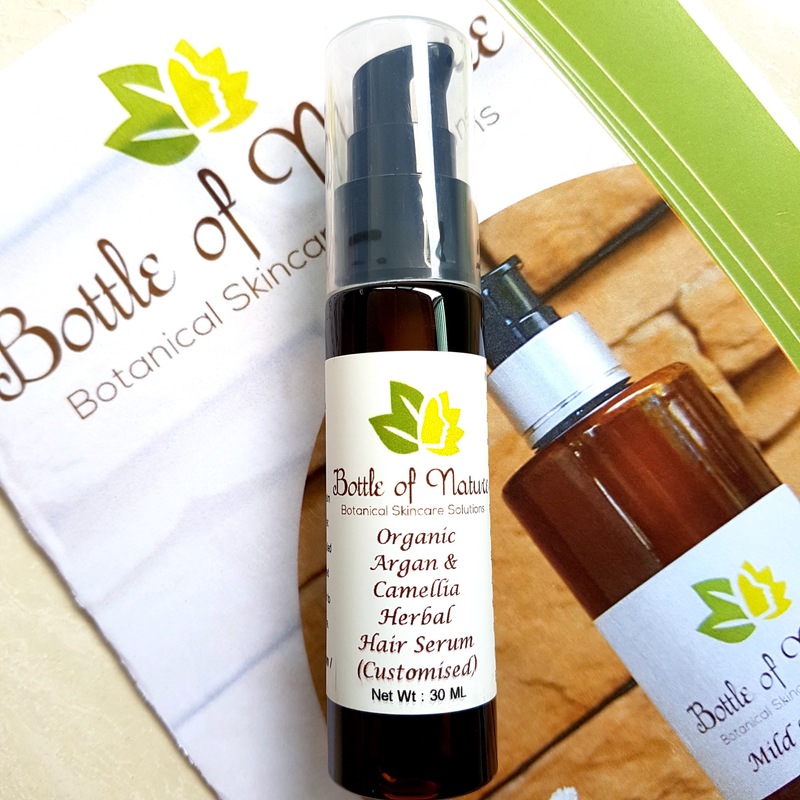 Even with my skincare, I have switched to the botanical brand of Origins. 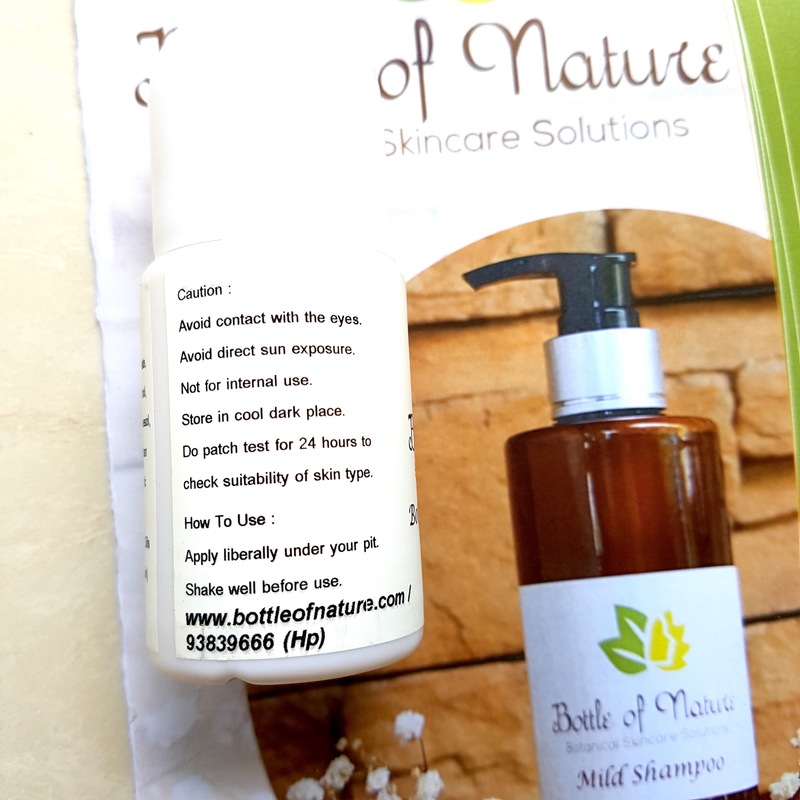 My skin condition on my face has improved tremendously and now with www.bottleofnature.com, my hair can look gorgeous too! Healthy shine. Flakes and itchiness be-gone! 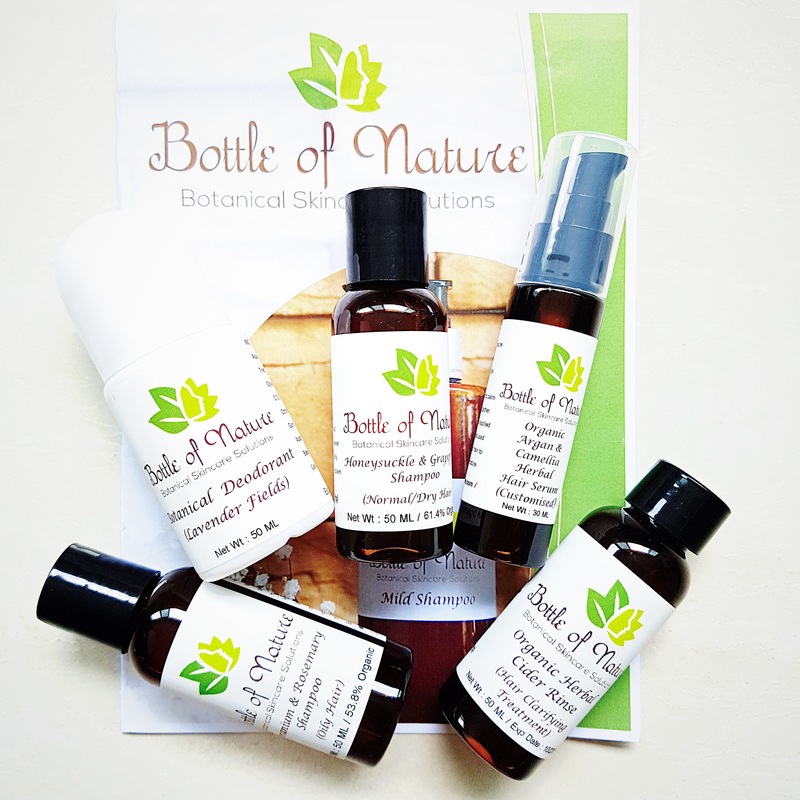 Thank you so much Irene and Bottle of Nature!